Here are our most common services, but we like to think whatever you want done, we can do! We can make good looking, functional websites that not only attract customers in, but make it easy to find crucial information. Because it doesn't matter how pretty a website is if people can't find it! We make your website easier to find on search engines. Making sure your website is always running, and with your latest information. Click on an image to find out about some of the previous projects we've done at Opelle! We work alongside our customers each step of the way to make sure we are developing something you can be proud of! Between us, we will talk through ideas to establish what you are looking for and how we can make your website work for you. 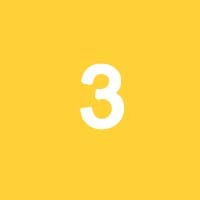 This will involve the style of your website in the way it looks and is navigated, and any features you want integrated. 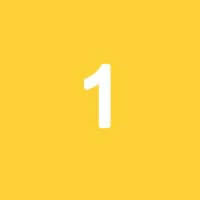 We create a basic draft based on what we have discussed to show you the gist of how your website will look and function. You tell us what you like and the areas that you would like modifying and we continue to complete the website accordingly. We will maintain consistent contact to ensure we are developing the right website for you! Website complete! 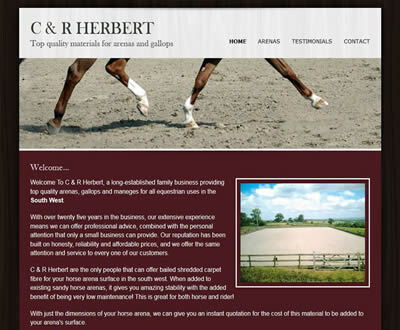 We finalise any last details and make sure you are happy with how your website works. We can also create company emails and social media for you to complete the package! You need to know who you're hiring, after all! 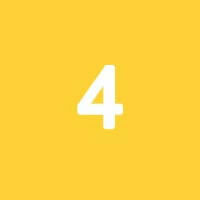 We are a small team based near Bristol and Bath called Opelle. We specialise in Web Design, but have a large suite of other skills. We can host websites that you've built yourself, as well as performing SEO on an existing underperforming website. We've been building sites individually since around 2009; however began working as a team to create Opelle in early 2014. We do not work on Opelle full time, meaning we never take on more than one project at a time, to ensure we can give our customers the best, personal service. We are open and honest to the fact that we have full time jobs, this does not mean we are slow to get the job done! We are more than used to meeting strict schedules and deadlines! Please feel free to get in touch by either using the form below, or emailing us directly on the email address above. We look forward to hearing from you! Gratton Ltd. are a construction company from Saltford, near Bath. 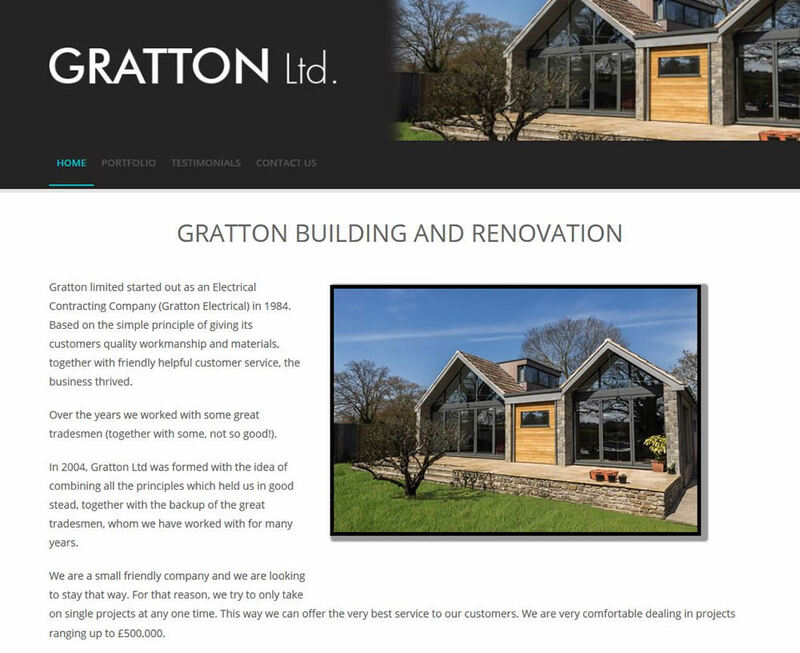 They needed to be able to refer potential customers to a great looking site which summed up what they are about. They weren't sure what they wanted, so we made them a fresh and current design they loved. The website is fully responsive, which means it adapts to the device it's viewed on; so it looks great on computers, laptops, tablets and phones! Horse Arena Surfaces near Bristol. Chris wanted something that was simple, yet smart looking. It needed to be easy to navigate, while having all the information needed. He wanted a testimonial page, allowing people to easily see what his customers think of his services! 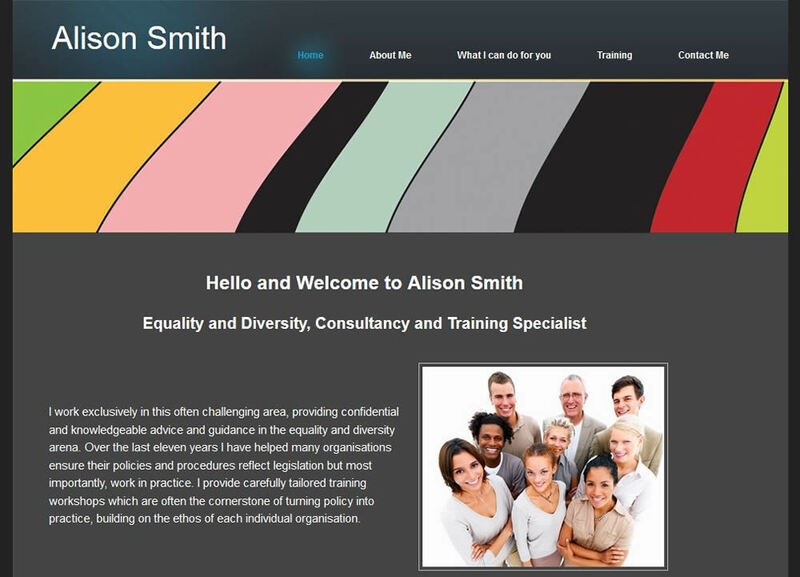 Quality Diversity Consultant in Clevedon. Alison wanted something which would be used purely as a reference tool. She already had some branding and ideas of what she wanted, and we worked together to produce a concise and effective website. 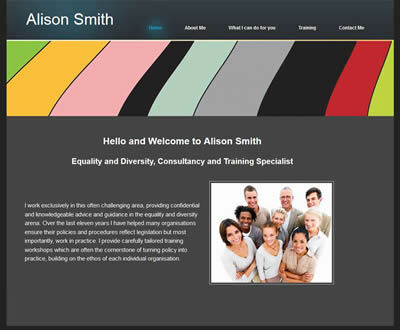 She didn't want too many images or too much text, so a clean layout was needed for her to get across her information. 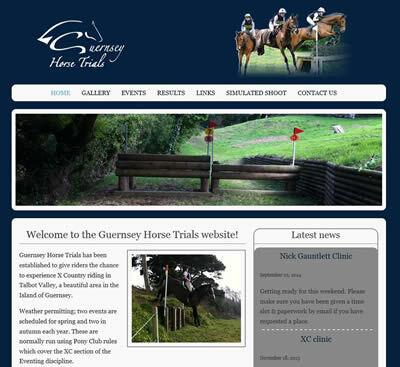 Guernsey Horse Trials wanted an attractive website, with a scrolling image at the top. They also wanted the capability of a WordPress blog, which meant they could update the blog from their computer, laptop or phone! The Parish Council in the village of East Harptree. 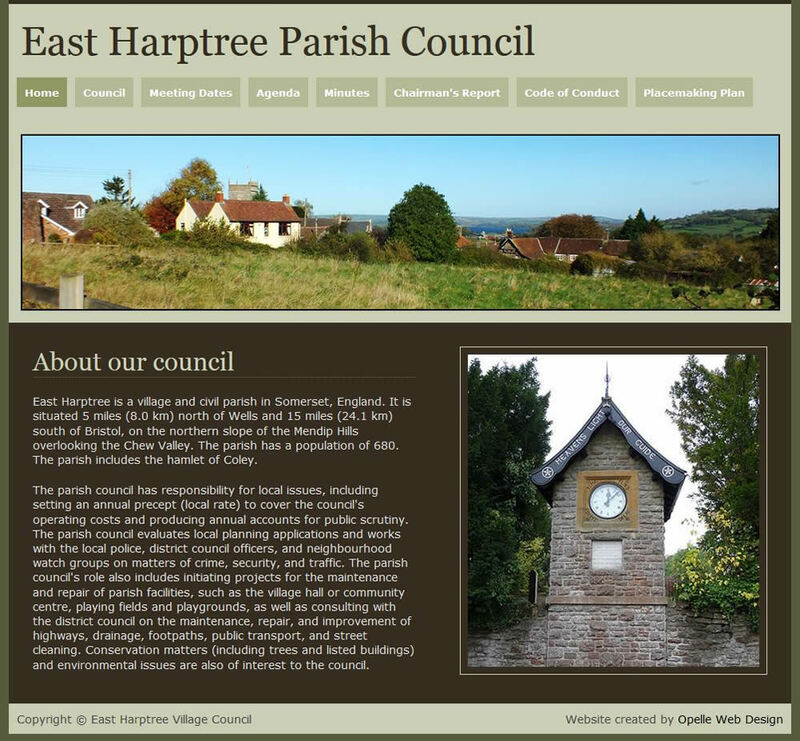 East Harptree Parish Council needed something simple and effective for them to get their information to the local community. We implemented a CMS, which meant they can update all their own content easily. 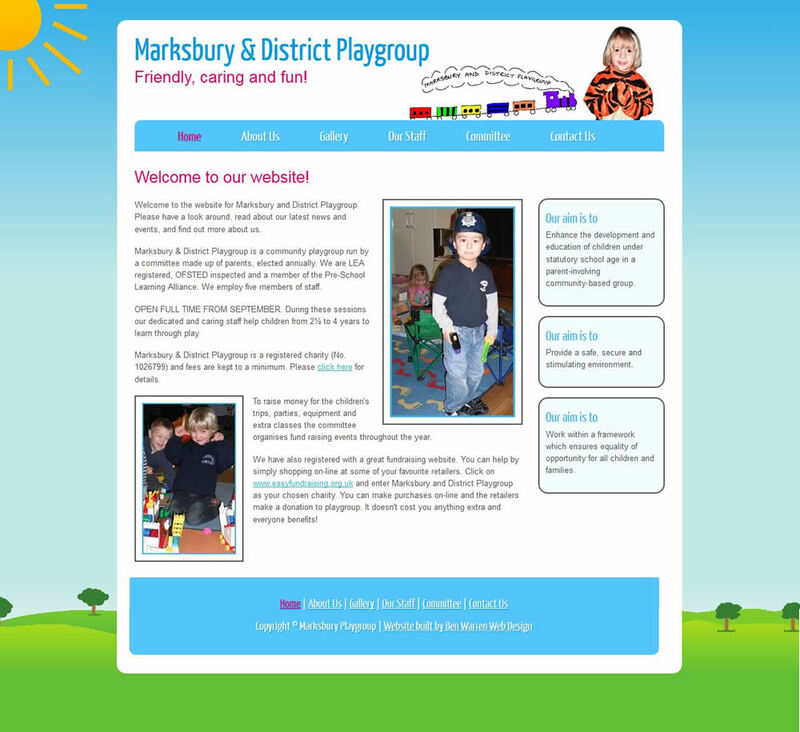 This was for a playgroup in Marksbury. They wanted a bright, colourful website, so that's exactly what we gave them. They weren't happy with what they had at the time, as they were being charged far too much for maintenance, and weren't happy with how it looked. We offered them a great looking website which their customers loved!